Plantar wart is another word for verruca, which is a contagious and oftentimes painful hard wart on the sole of the foot. When more than one appears, they are called mosaic warts. Plantar warts usually show up as rough, grainy, circular growths (lesions) on the bottom of the foot. These noncancerous growths are usually no larger than a pencil eraser and may be covered by calluses (hard, thickened skin) and/or tiny black spots. These black pinpoints are often called wart seeds, but they are actually blood vessels that have become clotted; warts don’t actually have seeds. Most verrucas cause a lot of pain because they are found on the ball and heel of the foot — two places that bear the most weight. This can cause changes in a person’s posture and gait. Plantar warts are contagious, so one wart may quickly multiply into several warts on one or both feet. These clusters are called mosaic warts. In rare cases, malignant papules such as carcinomas and melanomas can develop on the bottom of the foot. These lumps are oftentimes misidentified as warts, so visit your doctor if you are unsure or if you experience severe pain, bleeding, swelling or redness. Plantar warts develop when the human papillomavirus (HPV) manages to infect the outer layer of skin on the foot. This can happen if there are cracks, cuts or scrapes on your feet, as well as if the skin is water-logged or already suffering from a different type of infection. While there are over 100 types of HPV (including one that causes genital warts), only a couple of strains of the virus cause verrucas on the feet. A ubiquitous cutaneous infection, plantar warts affect about half of the population — most commonly children and teenagers, people with weakened immune systems and people who have had plantar warts in the past. Elderly people rarely develop plantar warts. Many plantar warts will disappear on their own, but the process can take up to two years. If your plantar warts are causing pain or if they are spreading, there are several over-the-counter medications available. Some include Compound W Freeze Off, Dr. Scholl’s Freeze Away, and Clear Away Plantar Wart remover. Oftentimes, you must repeat the treatments several times before the warts go away — and there’s always the chance they’ll return again later. 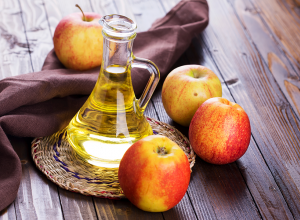 Home treatments work about a 50% of the time. When nonprescription treatments fail, your podiatrist or doctor may suggest a prescription strength wart medication containing salicylic acid that removes the wart in layers. Additionally, he or she may recommend cryotherapy, which is freezing the wart with liquid nitrogen via a cotton swab or spray. This method can be painful and it creates a blister around the wart that eventually sheds within a week or two. In rare cases, chiropodists may recommend acids stronger than salicylic acid (such as trichloroacetic or bichloracetic), a laser treatment that cauterizes the blood vessels, immune therapy to stimulate your immune system, surgery (which involves cutting away the wart with an electric needle called an electrodesiccation or curettage, or an HPV vaccine. Because of the placement of plantar warts, it may be difficult to walk and resume other normal activity during treatment. Some people may have to use orthotics that diminish some of the pressure and assist with walking and other movement. 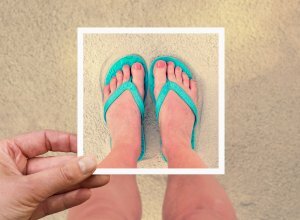 HPV thrives in warm, wet places, so the best way to avoid catching the virus and developing plantar warts is by protecting your feet from exposure. This means avoiding walking barefoot in public places like gyms, locker rooms and swimming pools, as well as always keeping your feet thoroughly washed and dried. Additional ways to prevent developing plantar warts include avoiding direct contact with warts or items a person with plantar warts uses (towels, shoes, etc) and avoiding sharing products like pumice stones, nail clippers and emery boards. If you already have a plantar wart, you can avoid the spread of the virus and the risk of the warts multiplying by not picking at your warts and washing your hands every time you touch one of the lesions. 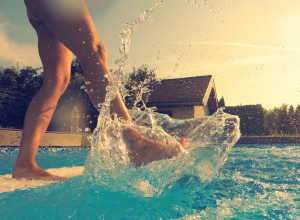 Find out how to keep your feet safe during pool time.